Because nothing says tropical family vacation like an all-denim family photo. Hopefully they got this in one take, otherwise, it can get uncomfortable real fast. 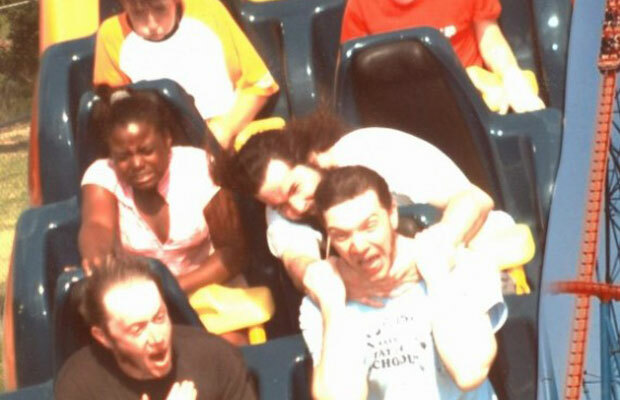 We all know I'm a big fan of roller coaster shots, but this one is priceless. You've got the kid who is about to throw up in the back, the guy whose apparent gut-reaction of fear is to strangle a rider in front of him, and the man next to him who is too shocked to actually do anything. 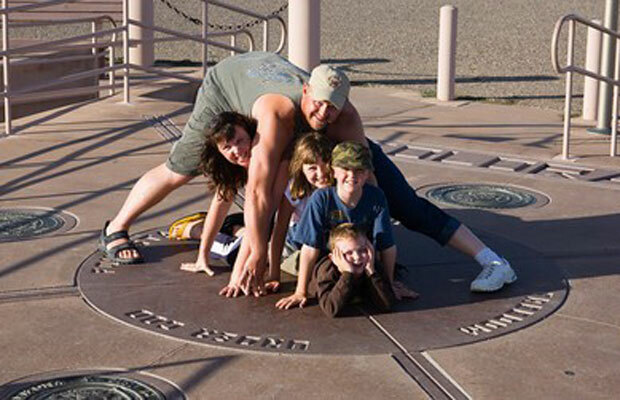 I understand the appeal of being in multiple places at once when you come to the "four corners," but is it really necessary to make your family start a game of Twister there to accomplish this task? The answer: No. 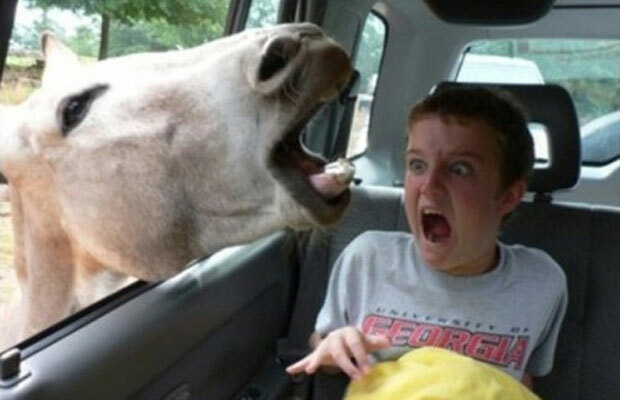 I wish a random horse poked his head into my car. I wonder if this is the face that I'd also exhibit? Then I think...Probably not. 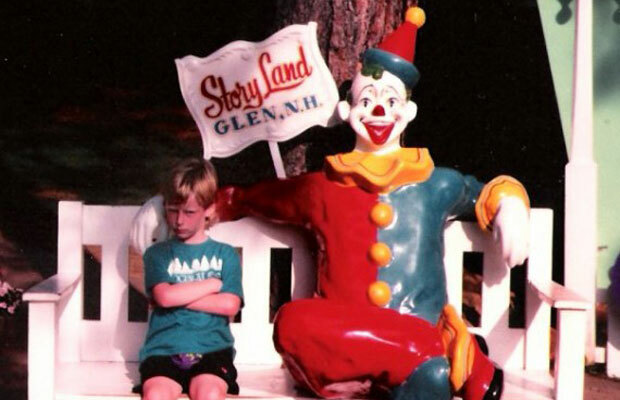 What young child doesn't want to go to Story Land? Honestly, even if this kid did want to go, he probably didn't sign up for the scary-looking clowns that he ultimately found there.